As I sit here to write this, I am less than twenty-four hours away from my son’s birthday party, so I have party supplies a bit on the brain. And though he probably wouldn’t be all that into these gift boxes (it’s hard to impress an eight-year-old), I’m into them in a big way. Etsy seller Mara Hartmann is based in Melbourne, and with a background in interior design, has gradually moved into the design of all kinds of gift boxes and bags. Her Etsy space My Paper Planet will amaze you with what can be achieved using just paper and scissors. 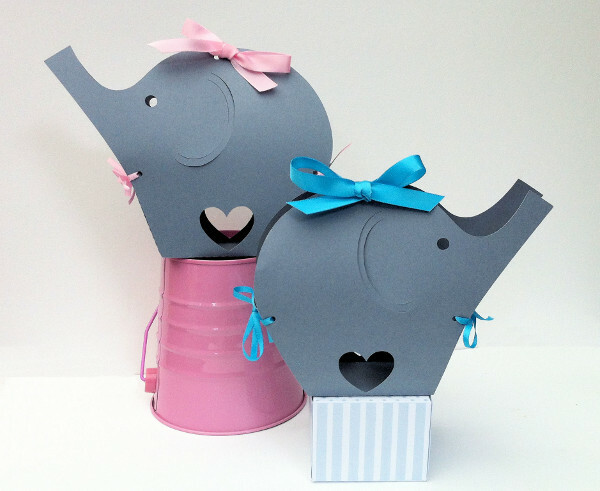 There are plenty of gift bag and box templates available in her store (where you purchase the PDF and then print and assemble the bags yourself) – but where she really shines is with her pre-cut boxes and bags, like these adorable elephant gift boxes. Obviously, they scream baby shower, but you can also use them for birthday parties for the first few years (eight is probably pushing it, if you have a son!). What’s more – anyone can pull these together. Mara pre-cuts all the pieces for you using an electronic cutter, so if you can tie a bow, you can put these together. They arrive flat with matching ribbons to tie together and detailed instructions on how to do it all. Better yet, you will be praised far and wide for your craftiness, even if you don’t have a crafty bone in your body. 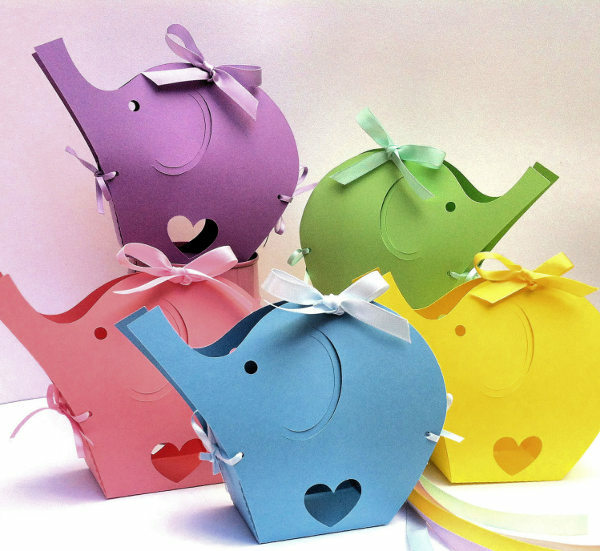 A set of five elephant gift boxes is $10.95 at My Paper Planet. Mara is happy to post worldwide.